Do you introduce colouring pages for kids from their younger age of life? I actually introduced lot of colouring pages, coloring pictures, coloring books and even empty sheets with colours to my son when he was just few months old and able to sit on his own. At first he just drew lines with colours. And later on I could see he improved his skills on colring and he also focus and concentrate on what he does when he colour any picture. Now as a toddler and nearly 3 years old, he colors his coloring sheets with different matching colors and for me it is a great development milestone as I was watching his progress throughout the years. If you think colouring is just a skill for kids, it is wrong. Actually when I searched for benefits of coloring for kids, I was amazed with lot of benefits to raise happy and healthy kids by using colouring activities from their early days of life. Here are some of the benefits which you can expect from such colouring activities. It is obvious, same as for adults; colouring is a way of expression for kids too. They can calm down and express their emotions through engaging with a colouring activity. Colouring can help improving fine motor skills while development of muscles of the fingers and hands with activities related to colouring. Little ones are with really short attention span. They usually don’t concentrate in any work for long hours. Colouring can be a great activity to develop their attention span together with focus and hand to eye Coordination. Colouring activities are a great way to express inner thoughts and ideas. So that it is same with young kids too. By introducing coloring pages from their early age of life, you are helping your kid to express his ideas and thoughts in way of beautiful art pieces. We can’t forget about the educational background we create by starting colouring pages. 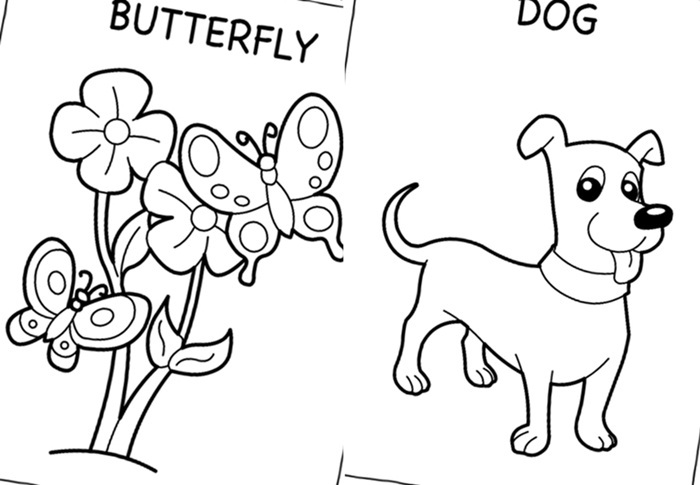 Young kids start their writing skills with colouring pages. When they know how to grab colour pencils, they also learn how to grab pencils to write. Colouring can be the start of writing, creativity, organizing, and use of papers, books and activities which prepares them for future education. So don’t wait till it is late. Allow your toddler or infant to express their thoughts and enter into the world by giving beautiful and creative colouring pages with some colours. They will create beautiful pieces of art that you never think! They love colouring and you as a parent will have better time too. It is always easier when you have printable colouring pages, so you can print again and again when you need new colouring activity books. Collaborating with Kidloland, we have a free colouring book which you can easily print and share with your kids. 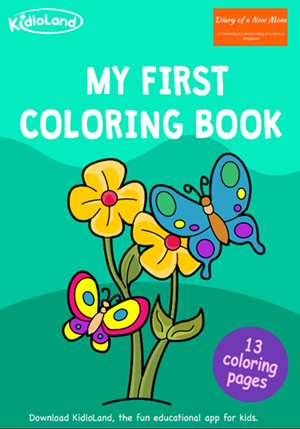 This free colouring book comes with 13 coloring pages which not only allow your kid to learn colouring, but also to improve the skills of word recognition. Each page comes with colouring object name and the illustrations are really attractive and cheerful. Also don’t forget to read our review and experience about Kidloland educational app which is really helpful for my kid to engage with activities such as singing, learning alphabet, colours, numbers and many more. It also comes with engaging activities such as puzzles, sorting and matching activities which are really beneficial for kids.